This week’s Monday pick is the 1982 horror classic Alone in the Dark which was the debut film from Jack Sholder (A Nightmare on Elm Street 2: Freddy’s Revenge (1985), The Hidden (1987), and By Dawn’s Early Light (1990). The film stars Jack Palance, Martin Landau, Dwight Schultz, and Donald Pleasence. Alone in the Dark is one of the most intelligent and generally frightening horror films that came out in the early 1980s, a time where cinema was oversaturated with slasher films like the Halloween or Friday the 13th franchises. Jack Sholder and fellow writers Robert Shaye and Michael Harrpster created one of the greatest cult horror films that would go on to influence a whole new generation of fans and filmmakers. Dr. Dan Potter (Dwight Schultz, Murdoch from TVs The A-Team) is hired as a replacement psychiatrist for an institution known as the Haven. The hospital’s owner is Dr. Leo Bain (Pleasence), an unorthodox shrink whose very lenient approaches to the treatment of his patients is met with astonishment by Dr. Potter. Dr. Bain refers to his patients as “voyagers” individuals who are having trouble adapting to an already insane world. As the two men walk the grounds, Bain shows Dr. Potter the third floor of the hospital where four of the most dangerous “voyagers” are contained with an elaborate electrified security system. 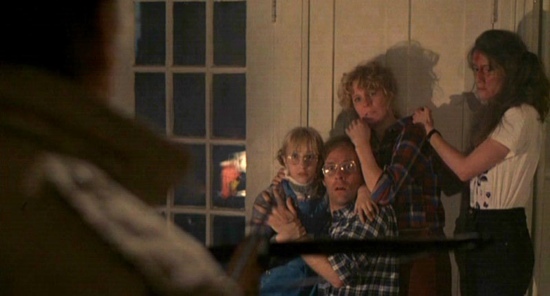 The four men who reside on the third floor are former POW and paranoid schizophrenic Frank Hawkes (Palance), pyromaniac and former preacher Byron Sutcliff (Landau), Obese child molester Ronald Elster (Erland Van Lidth), and Skaggs aka ‘The Bleeder” (Phillip Clark) who hides his face throughout the whole film. In celebration of October and all things associated with Halloween, horror, and the macabre, this week’s pick is the John Landis comedy/horror classic An American Werewolf in London (1981). The film stars David Naughton, Griffin Dunne, and Jenny Agutter. After making a name for himself in Hollywood with such comedy classics as The Kentucky Fried Movie (1977), Animal House (1978), and The Blues Brothers (1980), director John Landis’ next project would further solidify him as one of Hollywood’s newest breed of film makers. 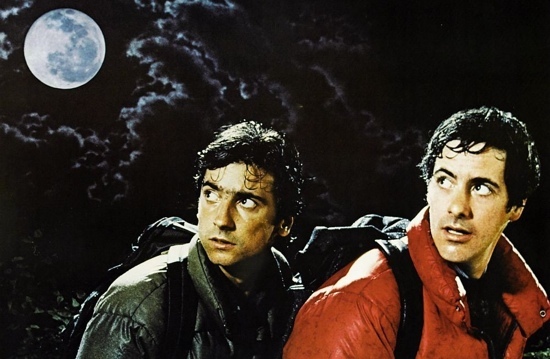 An American Werewolf in London is a tongue-in-cheek film that has always been considered a comedy, but Landis says that it’s a horror film with comedic elements. Landis had come up with the concept of the film while he was a production assistant in Yugoslavia working on the classic war film Kelly’s Heroes in 1970. While driving through the Yugoslavian countryside, Landis and his driver/interpreter came to a crossroad where they witnessed a gypsy funeral. Landis and his driver watched as these gypsies performed rituals over the dead man’s corpse in an attempt to make sure that he didn’t come back to life and caused mischief. This week’s Monday Pick comes to us from the wonderful world of the king of Independent cinema, Mr. Roger Corman, who produced the low-budget version of Jaws, and that movie was the Joe Dante classic Piranha (1978). 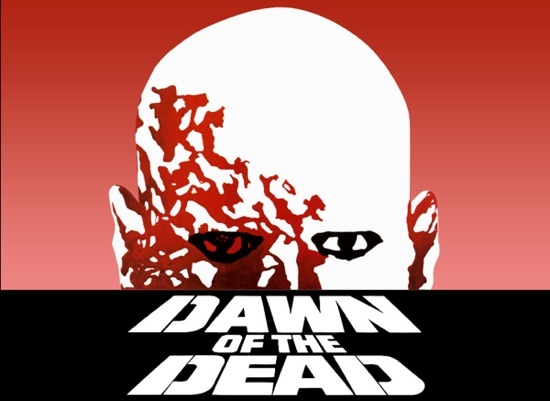 Cashing in on the “animals run amok” craze of the late 1970s, Dante and screenwriters John Sayles and Richard Robinson crafted a truly unique horror film that quickly gained a huge cult following. The film centers around a young woman named Maggie McKeown (Heather Menzies) who is hired to find two missing teenagers who were hiking in the vicinity of Lost River Lake. Maggie enlists the help of a backwoods drunk named Paul Grogan (Bradford Dillman) to be her guide and to help her find the two missing teens. Paul and Maggie’s search brings them to an abandoned military installation with a giant pool filled with salt water. Maggie and Paul enter the facility and find a series of mutant specimens and preserved experiments. Maggie finds the master control in order to drain the pool and see whether or not the teens possibly drowned. Maggie pulls the lever and is suddenly attacked by the facility’s caretaker who is knocked unconscious, as he was trying to stop the pool from draining. Maggie and Grogan take the man back to Grogan’s cabin where he has sustained further injuries after he crashed Maggie’s jeep in an attempt to flee. The man is tied down to a bed and is frantic when he awakens and learns that the pool had been drained. Grogan decides to take the injured man down river in a homemade raft. 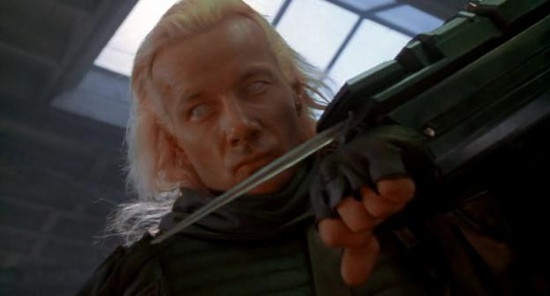 As the three trek down river, the man introduces himself as Dr. Robert Hoak (played by Dante alumni Kevin McCarthy) a military scientist who explains that the pool was filled with genetically engineered piranhas for a project codenamed Operation: Razorteeth, a plan which was to introduce the deadly strain of fish that could survive in the coldwater river systems of North Vietnam.